The race for the Conn Smythe is far from over, but the first two games of the 2010 Stanley Cup Finals are in the books. The Chicago Blackhawks have won two very different games, and will fly to Philadelphia on Tuesday having held serve on their home ice. Looking back through the box scores, though, the scoring for the Hawks hasn’t come from the guys that have led the Hawks to the Finals. Indeed, Patrick Kane has not been very effective yet and Chris Pronger has effectively contained Dustin Byfuglien. The Blackhawks have escaped Chicago with two one-goal wins because they have received contributions from every part of the roster. There have been a few players, however, that have stepped up their game. After beginning the 2010 postseason playing as poorly has he had all year, Brouwer was a healthy scratch for a handful of games in the middle of the playoffs. His father has been dealing with health issues since late in the regular season and it’s fully understandable if Brouwer’s focus hasn’t always been on the ice. In the six games against Nashville, Brouwer failed to score a point and was minus-four. Since returning to the lineup, however, Brouwer has been back to the player that was filling the stat sheet the entire season. In the Finals, he already has two goals and two assists and is plus-three. He has also contributed 10 hits and three takeaways, and was the Blackhawks most effectively physical player in Game Two. His return to form has ben crucial for the Blackhawks’ continued reliance on secondary scoring. Seabrook is obviously an elite defenseman in the NHL, but had some stretches of average play during the regular season. In the Finals, Seabrook has been a beast all over the ice. 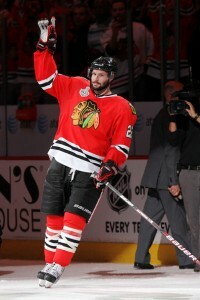 Through the first two games of the Finals, Seabrook has been credited with 10 hits and four blocked shots. His active stick has destroyed a lot of passing lanes and tipped a number of shots. Perhaps the biggest play of the series, however, was Seabrook diving backwards and swatting with a gloved hand to keep the puck into the offensive zone in the third period of game; that possession eventually ended with Tomas Kopecky’s game-winning goal. Seabrook’s effort has matched that of his linemate, Duncan Keith, and the two have re-established themselves as the premier shut-down tandem in the NHL in this series. If the hockey world didn’t already know what the Blackhawks have in their young defensemen, they’re finding out in a hurry this weekend. Hjalmarsson has developed into an incredible blend on the ice, learning from all of his teammates on the Blackhawks’ blue line. His scouting report coming up was as an offensive-minded defenseman, and his passing has certainly developed while playing next to elite puck-moving defensemen Keith and Brian Campbell. His body positioning in passing lanes and willingness to put himself between the puck and the net has become a hallmark of his play, something he’s also improved upon while playing with Keith and Brent Sopel. And his active stick and poke-checking is perhaps only matched by Keith, who is a Norris Trophy finalist. Should you have a son that has dreams of playing defense in the NHL someday, there aren’t many better players for that kid to watch to learn how to be a complete shut-down defenseman than Keith and Hjalmarsson. The first two games of the Finals may be a subtle final reminder of Dale Tallon’s eye for talent. Kopecky was signed on the same day as his best friend, Marian Hossa, over the summer and many saw the two-year contract as little more than Tallon throwing Hossa’s buddy a bone. Kopecky had played in consecutive Finals with Detroit, and led the Red Wings in hits in 2008-09, but didn’t project as more than a fourth or third line contributor. Since the Olympics, though, Kopecky has been playing at a different level. He started seeing extended minutes on the Hawks’ second line, and set career highs in most offensive categories. However, as the Blackhawks got into the flow of the playoffs, he became a victim of the Hawks depth and found his way to the press box. It wasn’t because of poor play, but just the quality all over the Hawks’ roster. 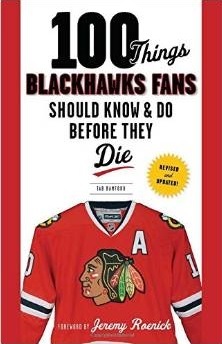 Indeed, after sitting out the entire San Jose series because of the Blackhawks’ depth, it took an injury to Andrew Ladd for Kopecky to get back on the ice. In his first game in a couple weeks in Game One, Kopecky scored the game-winning goal and was a physical presence all over the ice. 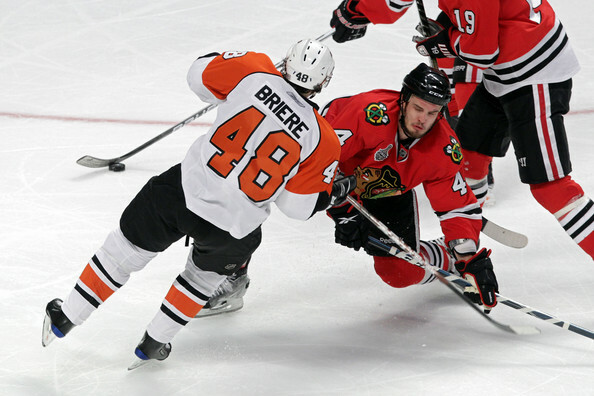 In Game Two, he continued to skate well and was in Daniel Carcillo’s face the entire game. He’s been credited with seven hits, three takeaways and two blocked shots in the series through two games, but his vision on the ice has been superb creating shots for Dave Bolland and Kris Versteeg.